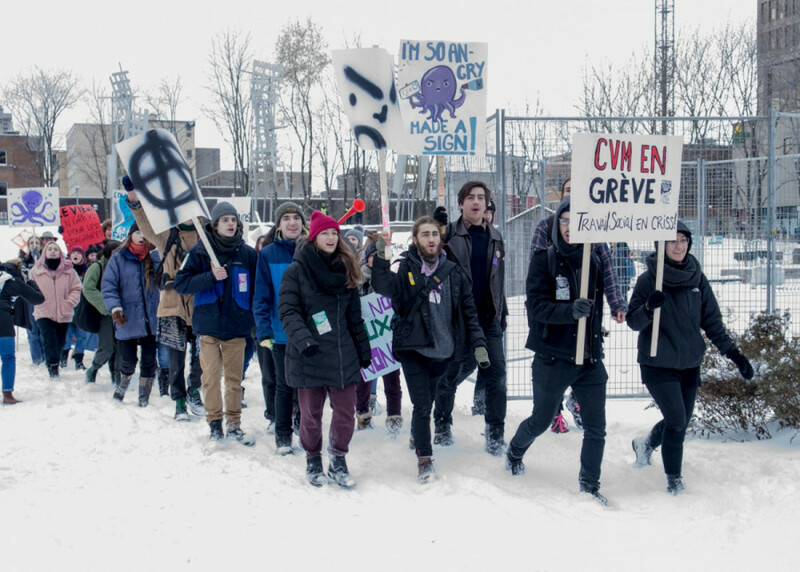 Students across Montreal let their voices be heard throughout downtown as over a thousand marched demanding remuneration for all unpaid internships. In a number of departments the provincial government demands that students only take on unpaid internships. 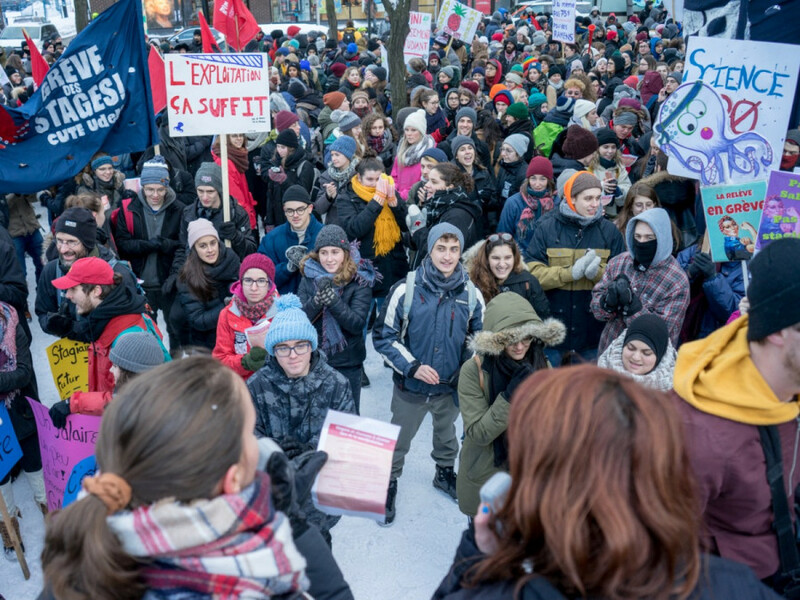 On Wednesday student associations across Montreal gathered for a demonstration against unpaid work beginning at Place Émilie-Gamelin by Berri-UQAM metro, in a bid to put pressure on the provincial government to put an end to unpaid internships. UQAM’s administration attempted to evacuate the building, but were not able to clear the entire campus. Courtesy Osti de gros party de grève ! If interns aren’t provided with remuneration for their work, they say a general unlimited strike will be called sometime in the winter semester. “We’re asking that internships are covered by [Quebec’s labour law] so that at least we get minimum wage for an internship and not a compensation given by the government,” wrote the Association for the Voice of Education in Quebec in a statement on Tuesday. “With salary, comes legal protection,” said Mathieu Vaillancourt, the finance and administration coordinator with AVEQ. 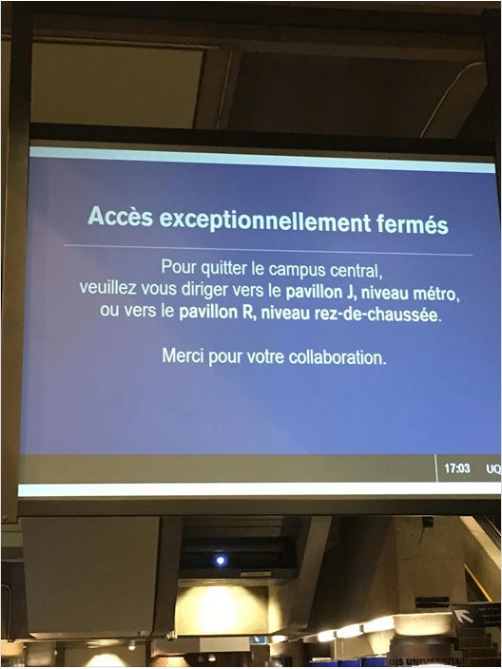 After the protest ended at 6 P.M., security guards and a handful of Montreal police blocked students from entering the Université du Québec à Montréal campus through entries in Berri-UQAM metro. An evacuation was called by the school to block students from holding a post-strike party, though a handful of students were able to get through, with about 100 students at the party’s peak. Internships can demand up to 16 hours a week—for other universities it can be 20 to 25. McGill social work student Jacqueline Ohayon told The Link it’s no surprise students have a hard time balancing their internships and classes while also seeking out paid work to pay their bills. Many students face financial insecurity as a result, she said. “The challenges that students face is being completely overworked and being under a lot of stress, and [experiencing] burnout,” said Ohayon, who also runs the Social Work Student Association at McGill, one of the few English student associations on strike this week. Ohayon said some students choose to drop out early since they cant afford to continue on with unpaid work. She added that single mothers and those already struggling financially cannot afford to work for free for 16 hours a week. 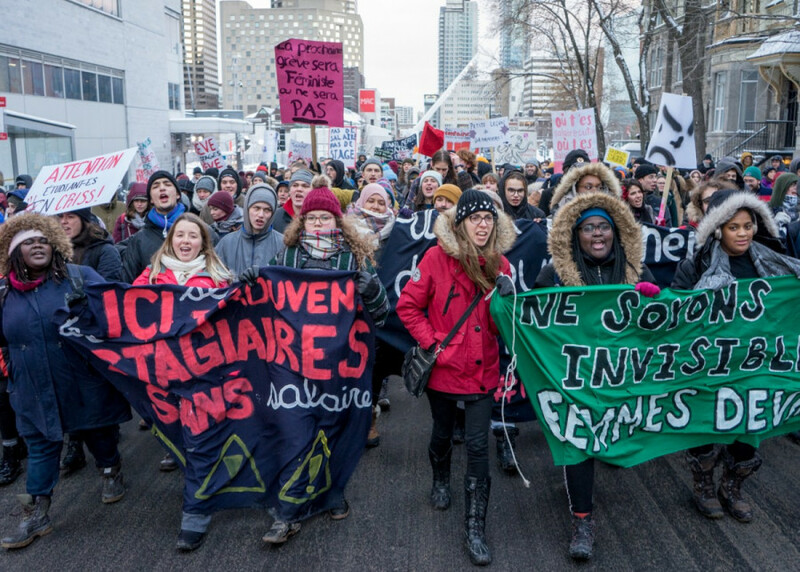 UQAM social work student Laurie Bissonnette said that women and marginalized people are most often the ones subject to the negative ramifications of unpaid work. Fields in the care sector–like teaching, nursing and social work–are often dominated by women and other minorities, Ohayon mentioned, and they often don’t offer paid internships. She said this is the case because woman’s work tends to not be respected the same way work is respected in male dominated fields, like engineering. “The effects of having unpaid internships […] are compounded by the fact that these people are already stigmatized or have less access to higher wages or suitable living conditions,” she said. If remuneration is not provided, students plan to being an unlimited strike over the winter. Ohayon said their tactics will be effective because striking interns will put a burden on hospitals, social services and schools.